Is San Francisco Really a Company Town? Kaufman & Snitow's perceptive documentary digs beneath the hype. 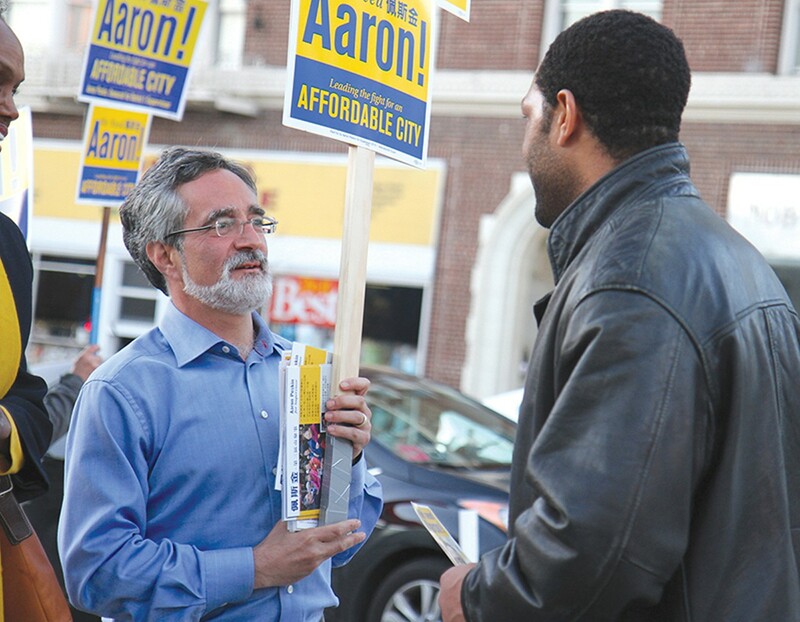 Aaron Peskin (left) in Company Town. Directed by Deborah Kaufman & Alan Snitow. Opens Friday. Documentarians don't get any more down-to-earth and local than the Berkeley-based team of Deborah Kaufman and Alan Snitow. Kaufman founded and directed the San Francisco Jewish Film Festival before partnering with Snitow, a former KPFA-FM news director, to write and produce such socially conscious investigative features as Secrets of Silicon Valley and Blacks and Jews. With their new film Company Town, however, they explore their most exotic locale yet — San Francisco, the tech-crazed boomtown across the bay, where venture-capital darlings Twitter, Airbnb, and Uber often seem to own the city from the sidewalks on up, and politicians and long-term residents are left to play a desperate game of catch-up. Kaufman and Snitow are not in the habit of kissing the earth where the mighty have trod. They're not in the business of making puff pieces and burnishing corporate resumes. To tell the story of San Francisco, they take their camera to the 2015 Board of Supervisors race in District 3, the sprawling "original Gold Rush" patch of ground that notably includes Chinatown, fulcrum of politics in the district and, it is said, far beyond. 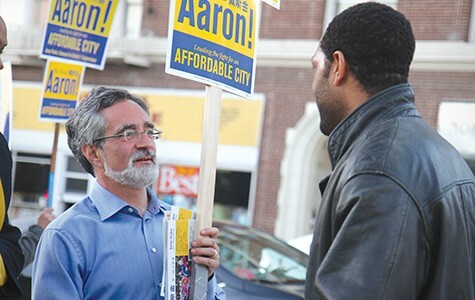 The contest pits the incumbent Julie Christensen, sponsored by Mayor Ed Lee and the city's heaviest-hitting business interests, against progressive standard-bearer Aaron Peskin (Chinese nickname: the Bearded Man), a former Supe aiming to tip the Board leftward in the face of rampant development. The camera quietly observes, in seemingly all the right places at all the right times. Our guides are reporter Joe Fitzgerald Rodriguez from the Examiner, the epitome of a freethinking, outspoken native; and door-knocking Jeffrey Kwong, a bright-eyed, bushy-tailed Peskin campaign volunteer. Lurking in the wings is VC honcho and would-be kingmaker Ron Conway. His money is on Christensen. On election night before the returns trickle in, the diminutive but peppy Peskin hugs voters on the street while Christensen's crowd sips cocktails in a ballroom. Peskin wins by nine percentage points. Company Town celebrates grassroots process and energetic democracy. It may just be the finest political film of the year.